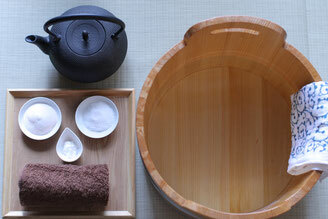 "Ashiyu is Japanese style of footbath"
Arashiyama has long been a favorite resort and hot spring spot to Japan's elite. Still today, Arashiyama is a well-known tourist destination for its hot spring and the "foot bath" remains a popular tradition. 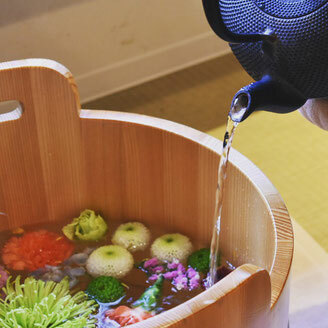 Here at Arashiyu, we offer a totally new experience by letting you experince a foot bath through your 5 senses. 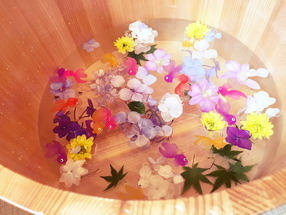 If you make a trip to Arashiyama, please come and experience our different seasonal foot baths with us at Arashiyu. 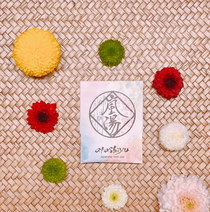 We put the original Japanese bath essence into the bathtab. It makes your skin moisture & smooth. Why people go on a journy? This is the story about for travelers. We think one of the delight of traveling is stimulation and memory of getting along with strangers. Such wonderful stories of travelers. Even though it is not so long, we enjoy the oppotunities to share each one of those stories. 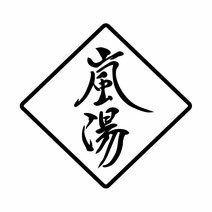 think i want to make arashiyu wonderful place for wondeful encounters for all people enjoying their journey. We have a cold water footbath each course. Cute goldenfishes swiming in the footbath. when you walk a lot ,and your body is hot. please cool down our cold water footbath! we also have a maccha ice shaved!